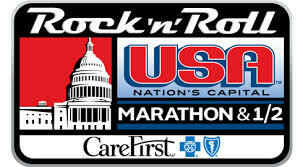 As of this week, I’m officially in training for my second half marathon, Rock ‘n’ Roll USA! I followed a 19 week training plan for the Disney World Half Marathon, and with this race only seven weeks away, I’ll be following a modified version of the plan I used to prepare for half marathon #1. As many have pointed out, I’m not “starting over” with my training this time around, so there’s no need to worry about accumulating the same amount of mileage under this training plan that I did the first time around. Rather, my training this time needs to focus on conditioning and maintaining. I ended my weekly recaps from my Disney World training with week 18 because, let’s face it, nothing eventful training wise occurred during week 19. Because of the travel woes I faced the weekend before we left for Disney World, my training was thrown a bit out of wack, and although I had planned to run once upon arrival in Orlando, that didn’t happen either. I don’t think this really had much hindrance on my final preparation for my first half marathon, especially since we spent quite a bit of time leading up to the 10k and half marathon walking around the parks. I know you’re all anxious to read about my first half marathon experience, and I promise that recap is coming this week! After taking a full week off from running after my first half, I kicked off my first week of this round of training with a couple of easy runs. It’ll be another week or so before I get some heavy mileage runs in, but for now I’m focusing on maintaining the strength I built up and ensuring that I’m ready to go for half #2 on March 15th. 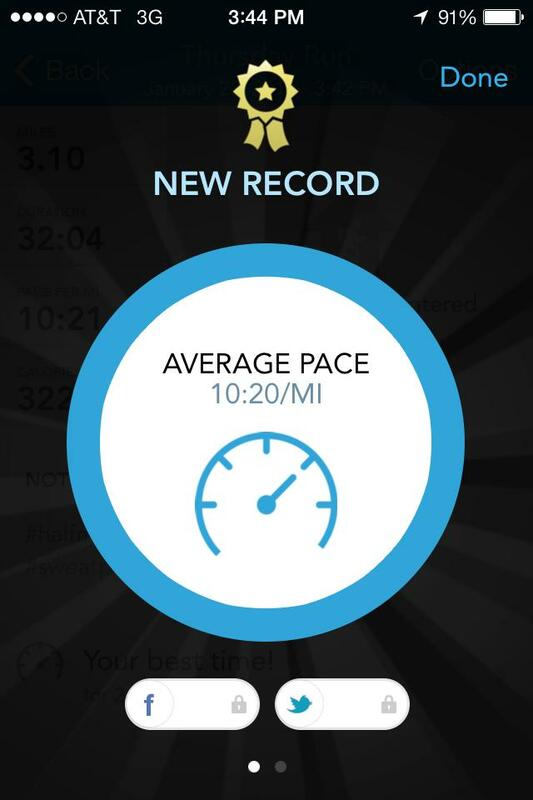 One of the highlights of this week was setting a new 5k PR – I maintained a 10:20 min/mile pace – my fastest to date! Who would have thought that less than two weeks after running a half marathon that I’d set a 5k PR! QOTD: How much time do you take off from running after completing a race? This entry was posted in Milestones, RnR USA Half Marathon Training, Training and tagged foam rolling, half marathon, half marathon training, half marathon training plan, Rock 'n' Roll USA, running, training, training plan, treadmill, walking, weekly recap, weight training. Bookmark the permalink. That is so great that you are doing the RnR USA! I love the RnR races and am registered for two of them (so far) this year! Which two are you registered for? Which others are you thinking about? I’d say that walking around the parks DEFINITELY substitutes for a run before a Disney race — it’s no joke! I can RARELY manage to squeeze in a training run when I’m there, but, honestly, I feel it’s best to rest your legs as much as possible. That’s really exciting that you’ll be running the RnR Half in DC! My BF and I are registered for the full marathon that weekend! Which kind of leads me to answering your question in that I really, really wish I had time for a “break” after running Dopey. I’m STILL recovering, but because I impulsively decided to register for a March marathon, I don’t really have a choice but to keep on running! Wow, Dopey earlier this month and a full in March! I’m impressed! Yay for new records! Honestly, as long as I am excited about running and my body is feeling ok I go ahead and run when I’m ready and just take it easy. Have fun getting ready for this race! Listening to your body is definitely key! Between my first and second half marathon, I actually waited about 2 months before training, but I did some running in between. One thing I did add in to my training was yoga. It really helped me keep stretched out and injury-free! Yoga is a great idea. I wish I had more time in the day to consistently add it in.